We offer the popular option of Invisalign & Invisalign Teen. We know how important it can be for teenagers to improve their smile without a mouth full of metal. Drs. Gorton and Schmohl are ranked as Top 1% Provider and have an excellent track record in the field and of course, the latest state of the art equipment to treat adults and teens alike. Dr. Jasmine Gorton, a Bay Area native, graduated from UC Berkeley with Bachelor degrees in both Integrative Biology and Social Sciences and then went on to graduate from Harvard with honors for her Doctorate in Dental Medicine. She continued her education at UCSF with a Postdoctoral Fellowship in Growth and Development, followed by an Orthodontic Residency with a Master of Science in Oral Biology. 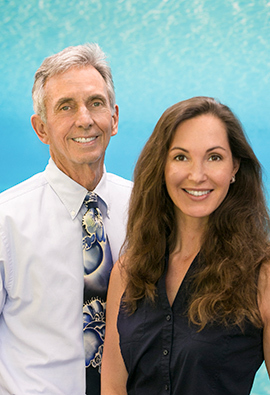 Dr. Bill Schmohl, a third generation San Francisco dentist, graduated from UC Berkeley with a Bachelor of Science and then completed his doctoral degree at UCSF Dental School. He received a Master of Science in orthodontics from Case Western Reserve and became a Diplomate of the American Board of Orthodontics. Along with providing comfort and aesthetics, Invisalign Teen treatment fits perfectly into busy schedules. Drs. Gorton and Schmohl are awarded Top 1% Provider which ranks them at the top of the orthodontic expert level to consult and treat patients with the aligner system. You are in great hands when you visit Gorton & Schmohl.